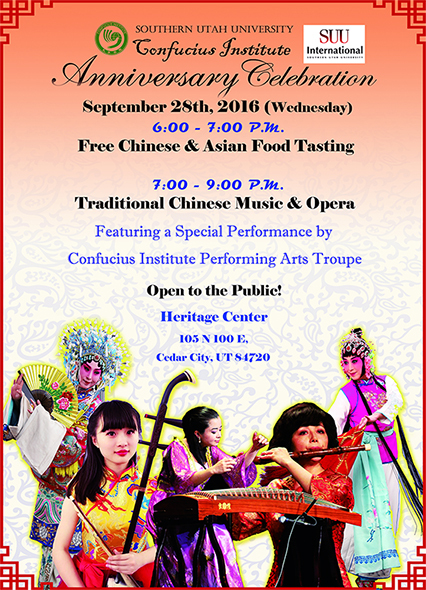 Southern Utah University (SUU) signed an agreement with the Hanban/Confucius Institute Headquarters on May 18, 2015 to establish a Confucius Institute (CI) on SUU’s campus. 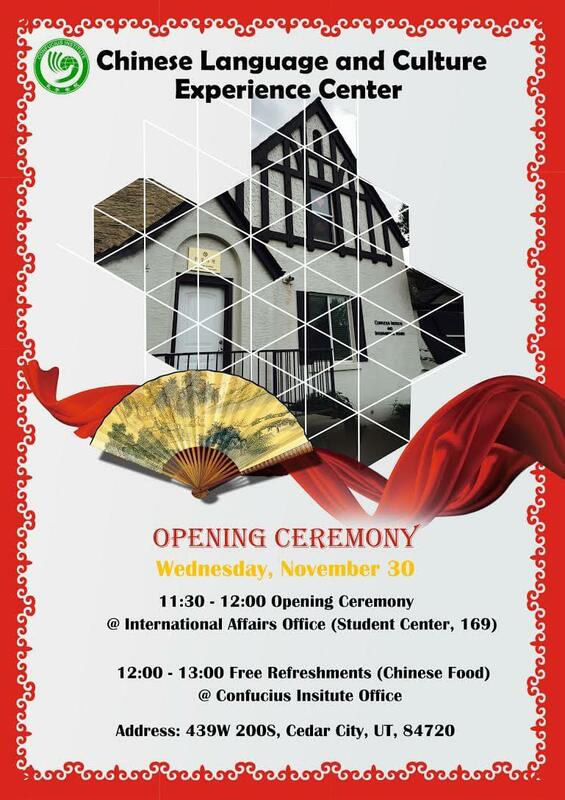 Subsequently, SUU signed an agreement with Hunan Normal University to implement a Confucius Institute at SUU. 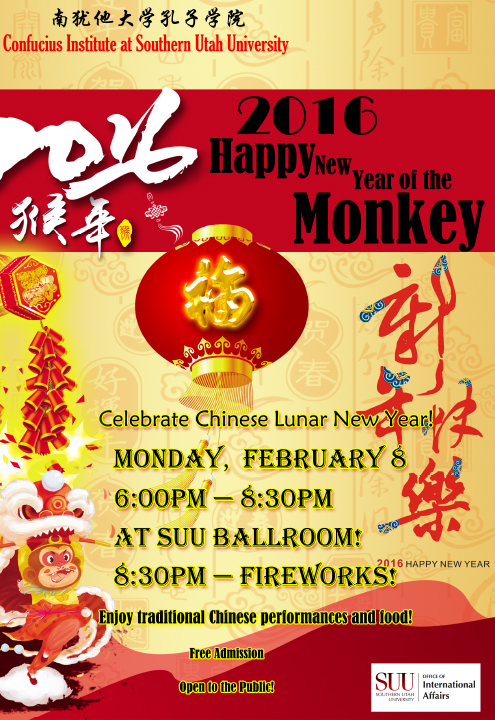 SUU has been offering Chinese classes for the past few years to local American students. 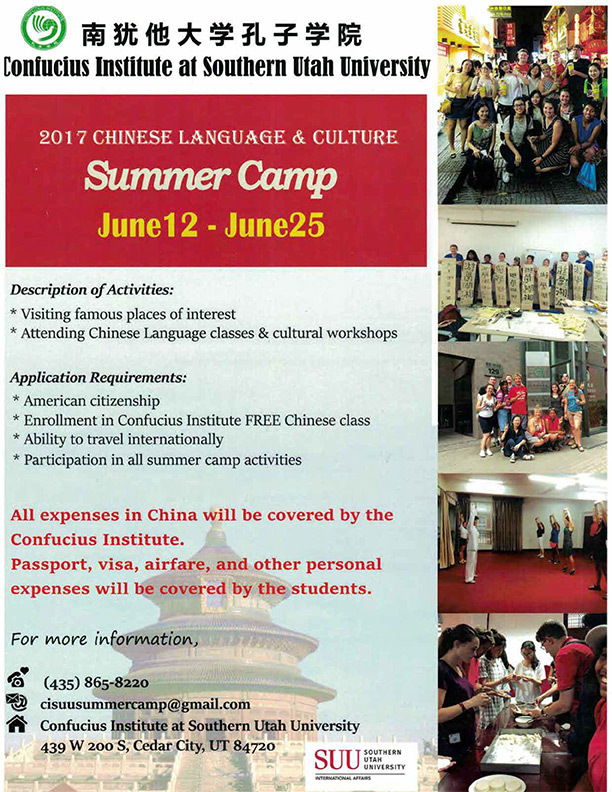 Beyond SUU, interest in the Chinese language and culture has been growing steadily in recent years within the region. 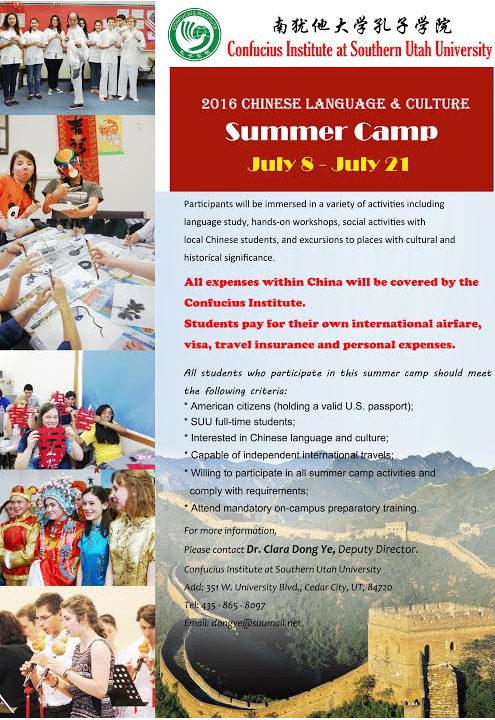 SUU is strategically located and poised to establish a Confucius Institute to provide Chinese language training and various cultural activities on campus, in the community, and in schools throughout the region. 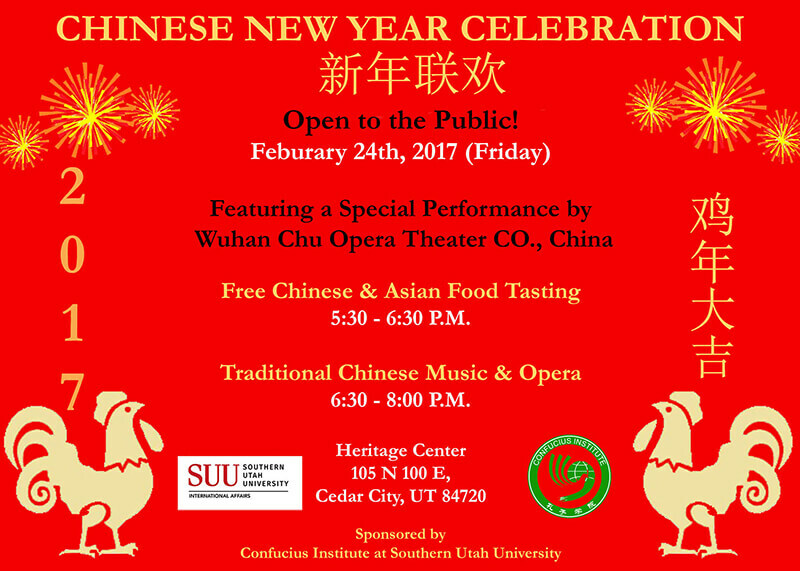 Under the leadership of Provost Dr. Brad Cook and Vice Provost Dr. Stephen Allen, and under the directorship of Dr. Jacob Ng, the Confucius institute at SUU aims to create cultural ties through Chinese language training and various cultural learning events.